One thing we have learned on our food journey is that my daughter reacts to dyes. In the summer and even in late spring here in the south, it gets HOT! Mega hot and humid! Nothing cools you off like a good ole popsicle... so instead of buying ones that have dangerous ingredients and dyes. I decided to come up with our own. I bought these nifty little tubes from Amazon. They work wonderfully. 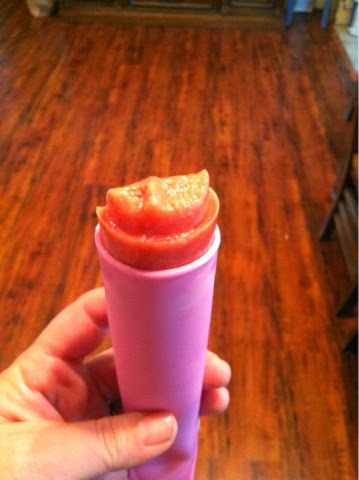 They are super easy to clean and they are easy to 'push-up' the pop! 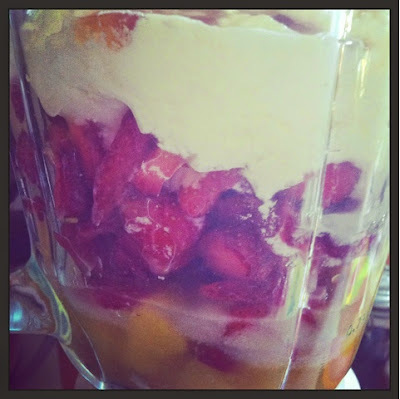 You can use your own combination of flavors, but for this batch we had some beautiful strawberries, some fresh mango and I just finished a batch of homemade yogurt. No real strict measurements, but this is what I used... change it up however you like! 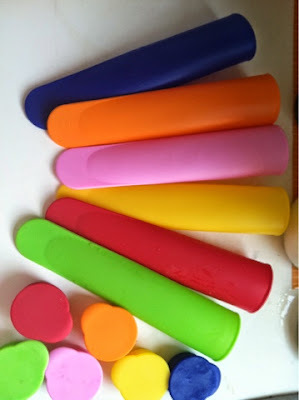 Blend til smooth and fill up your popsicle molds. Summer is going to be a whole lot sweeter! What a great idea! and thank you for the link. Those look great! I've been eyeing those popsicle thingies but I'd need two packages for our fam. I might try Dixie cups though.